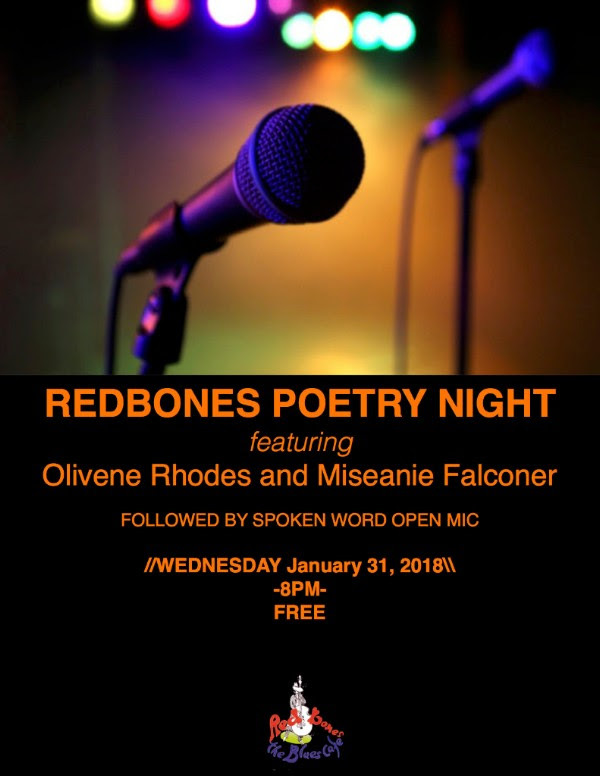 We continue 2018 with our tradition of Redbones Last Wednesday Monthly Poetry Nights. This month we will be featuring Olivene Rhodes and Miseanie Falconer. As always the performances will be followed by an Open Mic where audience participation is encouraged. For those who love Spoken Word, this night is for you!! Olivene is a romanticist who enjoys exploring her creative side by diving deep into the sublime ocean of metaphorical lyrics. In a jaded and often sarcastic world, her poetic works have received critical acclaim for listeners and deep meaning stirred from within. Miseanie is an artist with definition and voice. A young woman crafted from nature and ashes of soulful experiences. She is a communication arts student at the University of Technology, and an entreprenuer and author of the book “Venon’ which reveals a raw version of Love, pain and passion undone.